This April we invite you to the 8th Meet the Experts Transporter Conference in Budapest. Since 2014 the Meet the Expert Transporter conferences have been a continuing success. Hundreds of attendees have enjoyed talks from the best Transporter Scientists in the world. The conferences cover a wide range of topics, far beyond the role of transporters in Drug-Drug Interactions, which other transporter meetings mostly focus on. Previous meetings included symposia such as Methods and Models, The Physiological Function of Transporters, The Role of Transporters in Disease, Transporter-Enzyme Interplays, Transporter interactions of natural and synthetic compounds, Transporters and biomarkers and Transporters and regulation. The meeting’s main conclusions, presented novelties and future directions are summarized by Peter Krajcsi, SOLVO’s CSO. The Meet the Experts Transporter conferences are relatively small meetings with 70-100 participants, and offer plenty of opportunities for networking with colleagues in the field or personal interaction with the speakers. Being held in Budapest, the 2018 spring meeting also provides a unique opportunity for you to meet SOLVO’s scientists, project managers and study directors. Last but not least, Budapest is one of the highest rated cities to visit in Europe. This is your chance to combine work and fun, visiting the famous coffee houses, spas and museums besides diving into the world of Transporters! Conference will be held at Continental Hotel Budapest. 11:10- Irena Loryan, PhD, Uppsala University Assessment of unbound target site-concentration in brain and lungs: methodological considerations and practical implications. 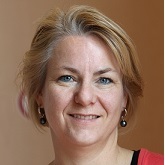 8:20- Roos Masereeuw, PhD, Utrecht Institute for Pharmaceutical Science Keynote presentation: Studying disposition of uremic waste products: can we develop novel therapeutic strategies to treat chronic kidney disease? Maria Barthmes, PhD, is an electrophysiologist and engineer specialized on membrane transporters. 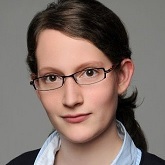 As scientist and product manager she is focusing on technical and application development of SSM-based measuring systems for transporters at Nanion Technologies in Munich. After her master’s degree on biotechnical engineering at the Munich University of Applied Sciences she obtained her PhD in Pharmacology at the Ludwig-Maximilians-University Munich. During this time she developed new measurement procedures to investigate prokaryotic and mitochondrial ion transport systems, in particular BKca and NCX. Dr. Zhizhou Fang has a broad background in different scientific areas. Originally a chemist by training with an emphasis on inorganic chemistry and chemical engineering, he has received his PhD from the Max Planck Institute for Molecular Physiology, where he has specialized in protein biochemistry, assay development and medicinal chemistry in the kinase field. His patent on the iFLiK technology describes how environment-sensitive fluorophores can be used to detect conformational changes associated with ligand binding. He is currently the head of the transporter lab at AbbVie in Germany, where his team supports projects in the early discovery phase to optimize lead candidates, as well as late development projects in the clinical stage. His current focus is on brain penetration, transporter kinetics and modeling. Irena Loryan, M.D., Ph.D. is a researcher in the Translational Pharmacokinetics-Pharmacodynamics, tPKPD Group at the Department of Pharmaceutical Biosciences, Uppsala University. She has more than 10 years of experience in the field of pharmacokinetics. Her current research interest focuses on mechanistic understanding of CNS drug disposition in health and disease with specific focus on discrete brain regions, aiming to advance pharmacotherapy and to support CNS drug development. She received her M.D. from Yerevan State Medical University in 2001 and earned Ph.D. in Pharmacology and Biochemistry in 2007. In the period from 2008 to 2010, she worked as a post-doctoral fellow in the Division of Pharmacogenetics in the Department of Pharmacology and Physiology, Karolinska Institutet (Prof. Magnus Ingelman-Sundberg Lab). From 2010 to 2013, she worked as a post-doctoral fellow in the tPKPD Group (Prof. Margareta Hammarlund-Udenaes Lab) in collaboration with Janssen Pharmaceutical. Dr. Oswald received his master in Pharmaceutical Sciences from the Humboldt University Berlin, Germany in 2001. After that he worked in the pharmaceutical industry and pharmacies for two years. From 2004-2007 he completed his PhD thesis at the Department of Clinical Pharmacology, Greifswald, Germany. In 2007 he also finished his advanced training in pharmaceutical analytics. 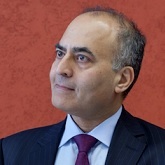 From 07/2007 – 06/2012 he was the head of the research project entitled “Drug transport-based concepts and drug-delivery-technologies for optimizing the clinical application of drugs” funded by the German Ministry of Education and Research (BMBF). In parallel, he was during his time as postdoctoral fellow the head of the GLP-certified analytical laboratory of his department. From 01/2012 – 06/2012 he was a visiting scholar at Pfizer Inc., Global Research and Development, Pharmacokinetics and Drug Metabolism in Groton, CT, USA and at the University of Washington, Department of Pharmaceutics (Prof. Jashvant Unadkat) in Seattle, WA, USA. 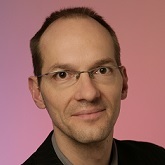 After coming back to Greifswald he was appointed in 11/2012 as assistant professor of “Clinical Pharmacology of Transporter Proteins” at the Department of Clinical Pharmacology and is the head of the BMBF funded research project „Compartmental Drug Absorption and Transport (COM_DAT): Pharmacokinetic Concepts to an individualized Therapy” which aims to optimize the drug therapy and safety by generating predictive in vitro- and in vivo models to estimate or even predict the drug exposure or drug-drug interactions in humans. Since 04/2015 he is the head of the Department of Clinical Pharmacology of the University Medicine Greifswald, Germany at the Center of Drug Absorption and Transport (C_DAT). His research interests are focused on the expression, regulation and function of transporter proteins and metabolizing enzymes in the human intestine and their impact on oral drug absorption, inter-subject variability in efficacy and side effects of drugs as well as drug-drug interactions. He worked for over 14 years in the field of Clinical Pharmacology and was involved in several clinical pharmacokinetic studies in humans resulting in about 60 papers in peer-review journals. His methodical expertise is the field of bioanalytics (small molecules and mass-spectrometry-based targeted proteomics), pharmacokinetics and in vitro models of transporter function. Dr. Poller has been employed at Novartis since 2010 as a laboratory head for in vitro drug transporter studies. Dr. Poller is interested in the interplay between transport and metabolic processes in the areas of clearance IVIVE, drug-drug interaction assessments and drug classification systems such as the EC3S. He contributed to the establishment of novel methods for hepatic and renal IVIVE as well as for intracellular concentration-based risk assessments of drug-induced cholestasis. In addition Dr. Poller acts as DMPK expert in cross-functional project teams during (pre-)clinical development and is familiar with PBPK modeling software for clinical DDI simulations. Dr. Poller received his Ph.D from the University of Basel, Switzerland focusing on cellular blood-brain barrier models. He continued his research on efflux transporter interplay at the blood-brain barrier as a postdoctoral fellow in the group of Dr. Alfred Schinkel at the Netherland Cancer Institute in Amsterdam. Dr. Poller’s academic and industrial research projects resulted in 20 peer-reviewed manuscripts and he gave presentations at several scientific meetings. 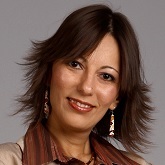 Dr. Emmanuelle Reboul received an Engineer diploma in Nutrition and Food Sciences from Agrosup Dijon, France in 2002. During her master degree and PhD thesis in the INSERM* laboratory “Human Nutrition and Lipids” in Marseille, France, she studied carotenoid, vitamin A and E intestinal absorption. She then joined the working group of Dr. R.S. 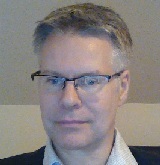 Molday in 2006 at the University of British Columbia in Vancouver, Canada to work on ATP transporter molecular functioning. Back to Marseille, France since the end of 2008 in the “Nutrition, Obesity and Risk of Thrombosis” laboratory as a permanent INRA** Researcher, she currently focuses on fat-soluble micronutrient intestinal absorption and membrane transport. Her group was the first one in the Word to discover a fat-soluble micronutrient membrane transporter at the intestinal level and still has a leading position on this topic. She has received several awards for her work including the PhD award of the French Lipidomic Group (2007), the Price of the French Academia of Medicine (2007), the Pepsico International Travel Price (2009), and the Research Prices of the French Nutrition Society (2010 and 2015). Prof. Lysiane Richert has extensive experience in Cell Biology and Toxicology. She received a Ph.D. degree in Cellular and Molecular Pharmacology from the Louis Pasteur University (Strasbourg, France) in 1983. 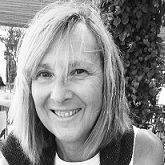 After completing her postdoctoral training at the Weizmann Institute of Science (Rehovot, Israel) in Cell Biology and Immunology, Lysiane joined Rhône-Poulenc Santé in 1986 as In vitro Toxicologist and in 1992 Rhône Poulenc Agro as Regulatory Toxicologist. In 1993 she became Professor in Cell Biology and Toxicology at the University of Franche-Comté, School of Pharmacy. She founded KaLy-Cell in 2003, by technology transfer, where she operates as Chief Scientific Officer. At KaLy-Cell the focus is on in vitro hepatic models for metabolism and toxicity studies and on ex vivo and in vitro evaluation of inter-species and inter-individual variabilities in the response to exposure. 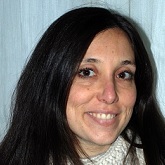 Lysiane Richert has published over 100 pier-reviewed papers. 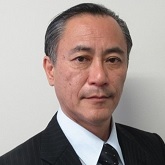 Mikihisa Takano, Ph.D. is Professor of Graduate School of Biomedical & Health Sciences, Hiroshima University since 1996, and is Dean of School of Pharmaceutical Sciences, Hiroshima University since 2016. In 1986 he received his Ph.D. in Pharmaceutical Sciences from Kyoto University. 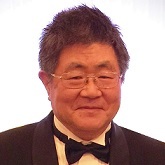 Dr. Takano worked at Massachusetts General Hospital and Harvard University as Research Fellow in Medicine (1987-1988), and at Department of Pharmacy, Kyoto University Hospital as Assistant Professor, Lecturer, Associate Professor, and Vice Director (1988-1996). His major research interests are mechanisms of membrane transport of drugs (small and large molecules) and drug/xenobiotic-induced cellular toxicity. The emphasis in recent years has been on the drug transport and toxicity in the lung alveolar epithelial cells. Since 1981, Dr. Takano has published more than 170 primary research papers and more than 50 invited reviews and book chapters. 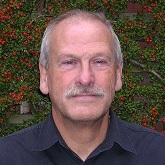 Dr. Theo Visser studied organic chemistry at the Technical University in Delft and obtained his PhD degree at the Erasmus University in Rotterdam. In 1987, he was appointed professor at the Erasmus University Medical Center (Department of Internal Medicine, Division of Endocrinology). His major interest concerns the regulation of thyroid hormone bioactivity in health and disease. He characterized the iodothyronine deiodinases that catalyze the activation or inactivation of thyroid hormone. Also, he demonstrated the importance of transporters for tissue thyroid hormone uptake. His group identified an important thyroid hormone transporter (MCT8) and mutations therein in patients with severe psychomotor retardation. His group was also among the first to identify patients with thyroid hormone resistance caused by mutation of the TRα1 receptor. Dr. Váradi is the director of the one of the leading laboratories in ABC protein research, especially in basic biochemistry of these type of transporters. His research group has been organized in the Institute of Enzymology in 1989 focusing on the molecular mechanism of active transport proteins. He started to investigate the molecular mechanism of human multidrug ABC-transporter (MDR1 multidrug resistance protein or P-glycoprotein) and to study the membrane topology and functional domains of the second multidrug transporter, MRP1/ABCC1. He was involved in elaborating the membrane topology of ABCC1/MRP1, and identified its intracellular regulatory domain. In 2001 he initiated a project to study the function of ABCC6 protein; mutations in ABCC6 gene are associated with pseudoxanthoma elasticum. He established various in vitro ABCC6 expression systems for the very first time, demonstrated its ATP-dependent transport activity and showed that loss of activity is the cause of PXE in the case of certain mutants. He published the first study on the transcriptional regulation of the human ABCC6 gene, and determined the corresponding signal transduction pathway. In collaboration with Dr. Le Saux’ laboratory (Univ. Hawaii), he developed a preclinical animal model for pharmacological correction of disease-causing ABCC6 mutants. Currently his group is focusing on exploiting the knowledge that low plasma pyrophosphate levels underlie the clinical manifestations of pseudoxanthoma elasticum and is active to develop new treatment strategies to treat this and related mineralization disorder. His group very recently demonstrated the oral bio-availability of pyrophosphate, the endogenous inhibitor of soft tissue calcification thus opening avenues for its therapeutical application. 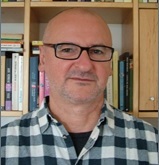 Dr. Váradi has been a regular invited speaker at the FEBS Special Meetings on ABC Proteins, Innsbruck (Austria in 2006, in 2008 in 2014 and in 2018), and at the Gordon Research Conference “Elastin and Elastic Fibers” in 2005; the Meeting of European Physiological Societies (2014 and 2016). 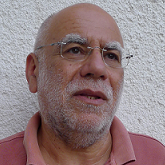 He organized special symposia on the molecular background of PXE in Budapest in 2007, 2009, 2011, 2013, 2015 and in 2017. He was elected to be member of the Academia Europaea in 2013. Dr. Dietmar Weitz studied molecular biology at the University of Cologne and finished his diploma with a thesis on the functional regulation of adenylyl cyclases from heart. His PhD work at the Research Centre in Jülich (Helmholtz organisation) was about structural and functional characterization of ion channels. Dr Weitz stayed as a postdoc at the Research Centre and during this time he was also a guest scientist at the MRC Laboratory of Molecular Biology in Cambridge (UK) working on the overexpression, purification, functional reconstitution and crystallization of membrane proteins. Later dr Weitz worked as assistant professor and group leader ‚Nutritional Transporters‘at the Technical University of Munich. 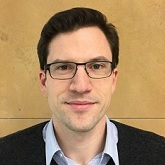 Since nearly twelve years he is working at Sanofi (Frankfurt) in Metabolism & Pharmacokinetics and he was responsible for in vitro drug transporter studies and gave expert advice on clinical and preclinical development strategies for drug transporters in many small molecule programs, with some of them reaching submission. Since two years dr Weitz is working full-time as a DMPK project representative for small molecules and biologics. 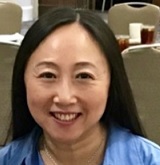 Yan Zhang, PhD, is an Associate Director in the Department of Drug Metabolism, Pharmacokinetics & Clinical Pharmacology (DMPK/CP) at Incyte Corporation in Wilmington, Delaware. She received her M.Sc. degree from the Pharmacology Department at South Dakota State University and her PhD from the Department of Pharmaceutical Sciences, College of Pharmacy, University of Nebraska Medical Center. She completed her post-doctoral training in the PDM Department at Pfizer in Ann Arbor, Michigan. The research focus of her PhD program and her post-doctoral training was on the roles of efflux transporters, especially P-gp and MRPs, in the CNS drug delivery and brain penetration. She has fifteen years’ experiences in oncology drug discovery and close to twenty years’ experience in the field of drug transporters. 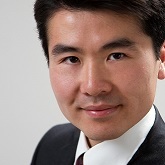 Dr. Zhang is the author of over 40 peer-reviewed publications, book chapters, and abstracts. She also is a committee member of the CPLG Transporter Working Group of the IQ Consortium. She is currently leading the drug absorption and transporter strategies to support Incyte discovery and development programs. Research interests include the pharmacokinetics and pharmacodynamics, transporter mediated toxicity and drug-drug interactions, and in vitro/in vivo transporter correlation.